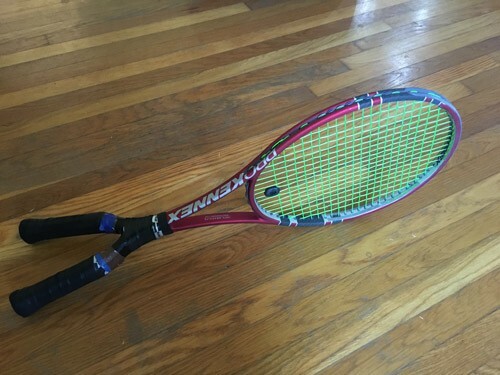 The racket is also available in 29" length (light version 303 grams or heavy version 328 grams), if you are interested in the 29" Freestyle please e-mail naturaltennis@gmail.com. (Nevada residents add 7.75% sales tax) Rackets do not come strung. We can add the two handles to any tennis racket. 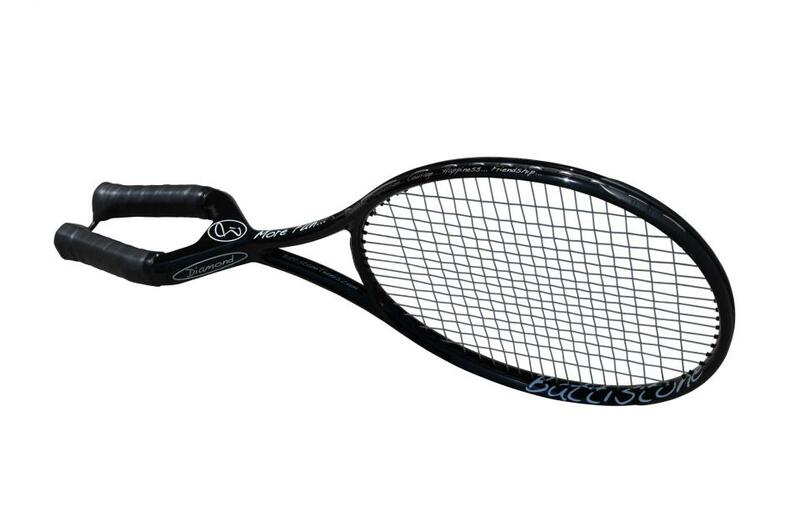 Many people think this will make their current racket heavier, but we remove the central one-handled weighting system when doing conversions which allows for minimal added weight to the racket. Contact Trent Aaron for more details at 2forehands@gmail.com. This geometric design brings the handles closer together, which brings the "hitting zone" more to the side of the body, which gives a player more side to side reach. For more information please contact Natural Tennis Diamond Racket designer Jim Martineau at jimmartineau1@gmail.com or call him at +1 (310) 793-6464, Jim will help you with all your questions and needs.